Cashiers's Checks or Money Orders. We do not accept business or personal checks. You will receive a schematic plan in return to help you visualize the solution. Any Questions? We will be happy to answer to all of them! 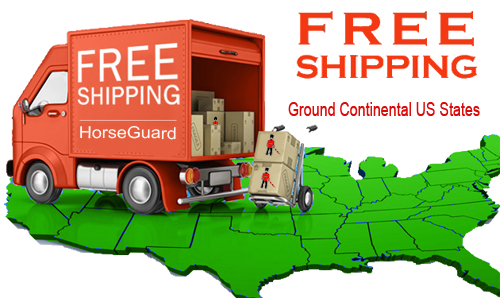 ground service from the Horseguard Fence Corporation in Illinois. Next Day Air, Second Day Air, and Three Day Select shipping options are available upon request at an additional charges. To Alaska or Hawaii, Virgin Islands: 2nd Day Air shipping charges apply.